The Legend of Zelda: Breath of the Wild, is a massive game. From the moment I started playing, I knew that this was going to be a game that would keep me busy for a very long time. Read on for my Breath of the Wild beginners guide, and tips on how to get the most out of your adventure within the first few hours. 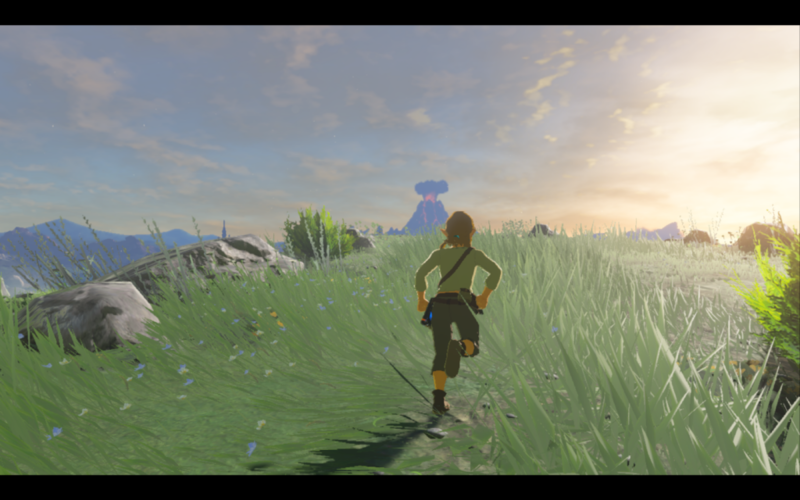 As I have mentioned in a previous post, I will be posting my thoughts and comments as I play through Breath of the Wild, and I hope that these following tips will help you out. In games like Skyrim and Fallout, players could collect loads of items, but were limited by their inventory space. Luckily, this is not the case in Breath of the Wild, as you have nearly limitless space to store items. Food and resources such as monster parts take up no space, so pick up anything you like. Even if an item holds no specific purpose, it pays to hold onto them until its use is revealed. For example, smashing ore deposits will often yield gemstones, which have a high value. High value means to sell them to a merchant, right? We’ve gotten used to running headlong into battles with many popular hack and slash games out there. While this tactic can certainly be used, it’s not always the most effective way of dispatching enemies. I once heard a YouTuber refer to the game as Dark Souls for Kids. It’s a good comparison, because the game does not hold your through each and every encounter. You will have to use your own knowledge and common sense to overcome battles. In Breath of the Wild, the best way to defeat a group of enemies is to examine the situation and the environment, and think of a plan based on what you have available to use; Are there bombs in the encampment? Is there a lookout? Are the enemies all sleeping? All of these are possible factors that play into the best way to defeat them. The trick is to eliminate them using as little effort as possible. Use your common sense, and it will come to you naturally as you play. In previous Zelda games, we have gotten used to running in headfirst and hacking away at enemies with our trusty Kokiri Sword, and holding up that Hylian Shield for an endless defense. These tactics have been rendered almost futile, as our weapons now break. Don’t get too attached to that cool sword you found in a chest. Shortly into the first few quests on the Great Plateau, you will unlock the ability to use Remote Bombs, a skill I have found most valuable for defeating lower level enemies. For a short cooldown time, you essentially have unlimited bombs to use. While this can be boring, it is very practical, and saves your gear. Remember that you have 2 types of bombs, and they both have separate recharge times, meaning that if you are fast enough, you can keep lobbing bombs until all of your foes are dead. Be careful though, as those bombs will hurt you if you are too close! As you delve further into the game, you will eventually start to find stronger and more powerful weapons and equipment, many of which will be capable of killing foes with one hit. Don’t fall for overkill, no matter how satisfying it may feel. That big sharp sword should be used for taking on those Lynels and Moblins, not for swatting Keese around! Now, you may not necessarily need this tip while still on the Great Plateau, as the kinds of weapons you will find are very limited in power. Nevertheless, it pays to be mindful of how much damage you do. Try to count how many hits it takes to kill a specific enemy with the weapon you have. In past games, we have typically been exposed to lower level enemies first, and gradually came across higher level creatures over time. In Breath of the Wild, you can pretty much encounter any level creature, including the endgame bosses and foes that will kill you in one hit. Just because you see an opportunity for combat doesn’t mean you should try and take them on. There’s absolutely no shame in running away from the dreaded Guardians and Lynels. Choose your battles carefully, or else you will end up wasting time and gear. Here’s a handy tip; use the musical cues as guidance. If you find yourself hearing a musical track for the first time, and it sounds foreboding or intense, chances are you aren’t gonna have a good time battling them. On the other hand, the standard battle music that plays should be an easy indicator as to whether or not you can take them on. Another helpful tip is to observe the enemy from afar; Is it a creature you haven’t fought? Use caution. Is it a similar monster, but with a different skin color? You may be able to use your normal tactics, but be mindful of their stronger gear. You begin the game atop of the Great Plateau, a massive region of land overlooking nearly all of Hyrule. Nintendo’s starting levels and tutorial dungeons have always been masterfully crafted to educate newcomers on all of the mechanics and features presented by the game, and Zelda is no different. The Great Plateau acts as a miniature version of Hyrule, with plenty of things to do, and introduces you to the many mechanics you will find on your travels; weather, temperature, environmental hazards, etc. As tempting as it is to blow through all of the “tutorial” quests, it really pays to sit back and enjoy the ride. This game is not one to speed through, unless you are very skilled with the game mechanics. Do you collect Amiibos? Have a friend who can lend you one? All of the Amiibos will give you free items in the game, and if you are looking for a helpful boost in the beginning, this is a great way to start. Scanning an Amiibo will cause items to drop from the sky. You will typically get crafting items and rupees, but if you are lucky, chests may drop from the sky, usually containing nicer rewards. If you scan a Legend of Zelda Amiibo, you may unlock rare items never found in the game! I’ll post more about the Amiibos in a future post. I’ve made a few orders so that I’ll be able to try them out. I hope you enjoyed this guide. If you have any thoughts or comments, feel free the leave them down below! Click here to see some more of my guides on Breath of the Wild! I got a Nintendo Switch, finally! Stardew Valley for Nintendo Switch Launches Tomorrow! Thanks for all these tips and pointers. I love Zelda games and am a bit ‘old school’ with them so these are some interesting new ideas for me. Thanks for sharing. Thank you for the feedback! This new Zelda game is massive, but there are a few things that take you back to the challenges of the older Zelda games.